Grand Central Market | Press Coverage | The Infatuation | How often do you think about falafel? Maybe once every few months, you feel the need for a semi-healthy, but not really healthy lunch and make the trip to Joe&amp;rsquo;s . This was our falafel M.O. for a long time. Until we met Madcapra. How often do you think about falafel? Maybe once every few months, you feel the need for a semi-healthy, but not really healthy lunch and make the trip to Joe’s. This was our falafel M.O. for a long time. Until we met Madcapra. Now, we're constantly plotting excuses to get downtown to inhale the fried chickpea balls. 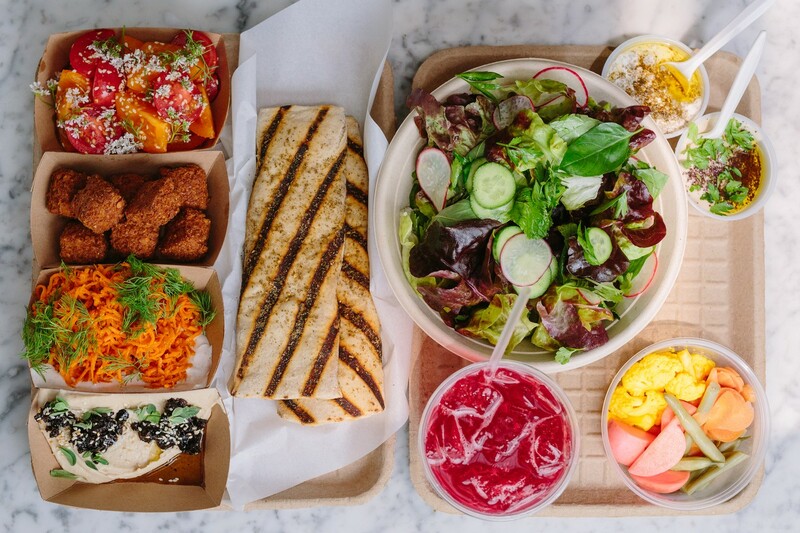 Madcapra is falafel worth driving across town for. Traffic ticket? Sure, we’ll pay it in person at the courthouse. Friends in town? Better show them Broadway and make a stop at Grand Central Market, home of Madcapra. Finally getting a ticket to The Broad? More Madcapra. Once you get to Grand Central Market, grab one of the few counter seats. 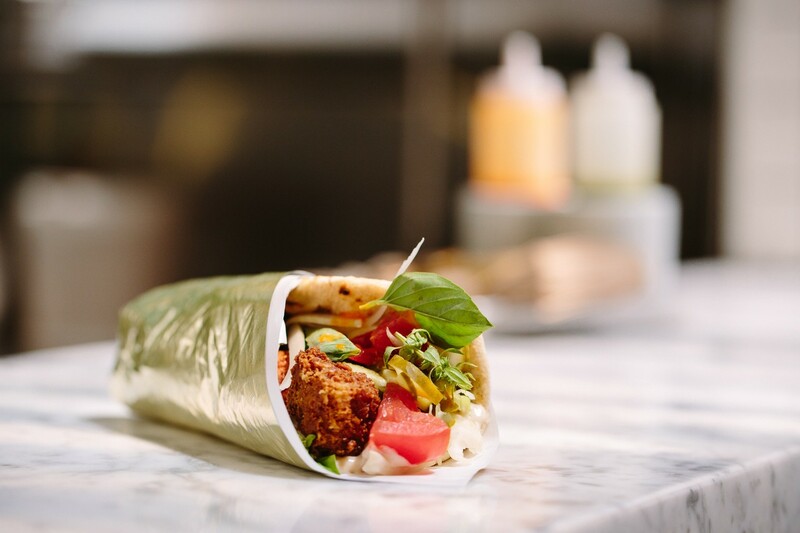 The falafel come either on a salad or in a sandwich, but for first timers, you're going to want to go sandwich. The falafel are a little smaller than those you're used to, and there are no herbs or anything in the mix, making it all about the crunchy-on-the-outside-smooth-on-the-inside texture. 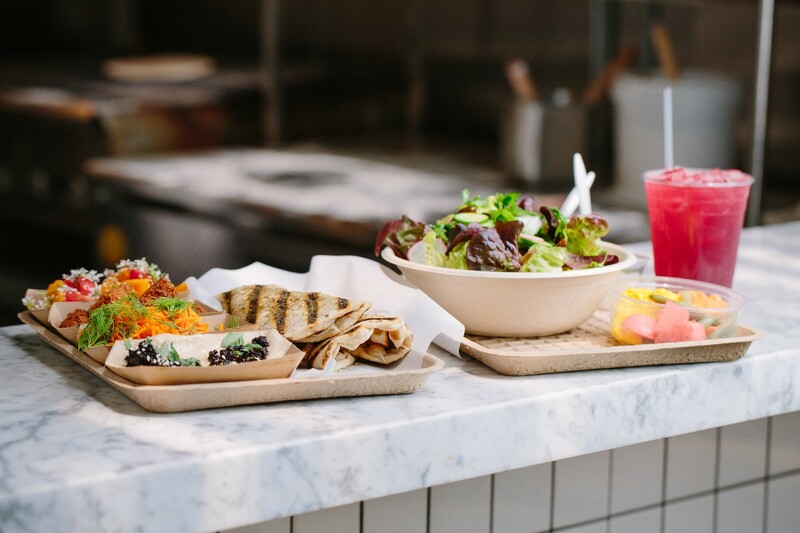 The sandwich is rounded out by super fresh vegetables and ridiculously good flatbread, which might actually be the real stars of the show. Basically, this falafel isn't anything like what you've had at Joe's, or that little Middle Eastern store in a strip mall. There's no tabbouleh, and no precariously thin pita. 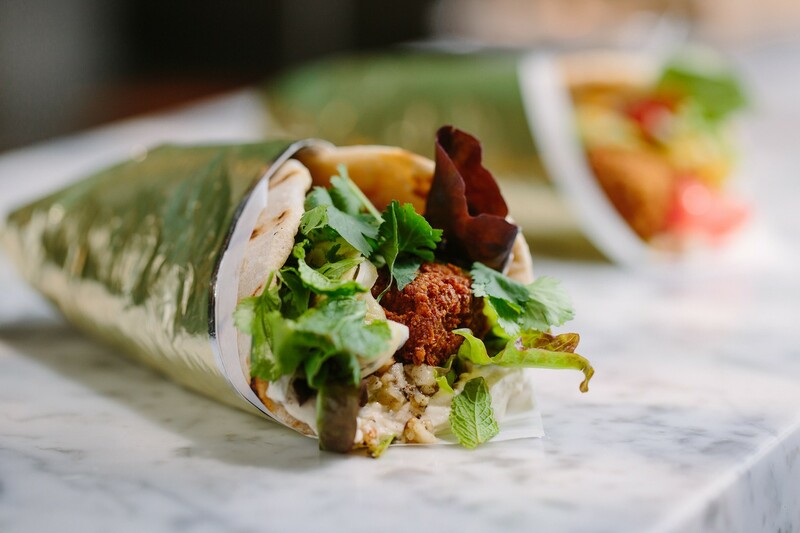 Madcapra gives falafel the makeover we didn't know it needed, and it's become our must-hit spot in GCM. 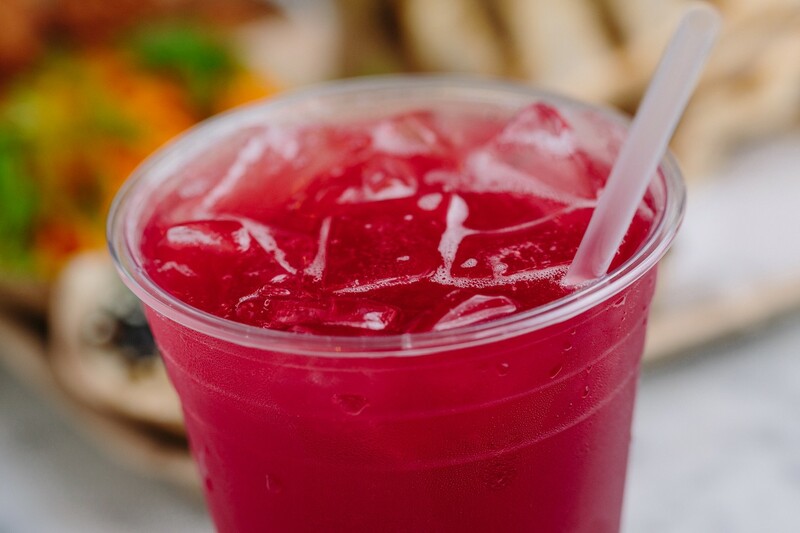 Not only because it's truly awesome falafel, but because it's some of the best food in town, full stop. What’s that, you have a meeting downtown and your car's in the shop? Sure, we’ll drive you.